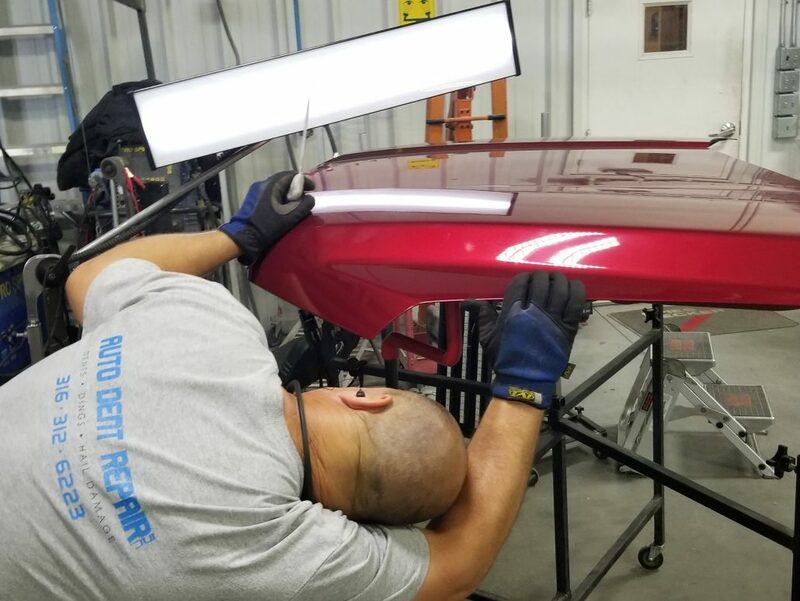 Collision Center of Andover is proud of the work our skilled technicians can accomplish whenever they put the shaping hammer to the test with our paintless dent repair (PDR) techniques. Through the life of your vehicle, you’ll most likely ding or dent it at least once, or maybe quite a few times. The temptation may be to just leave “well enough alone” because you don’t want to have to deal with the time or effort in repairing it, not to mention the cost. You may be surprised to learn just how quick and painless paintless dent repair is. Our technicians can work magic with their shaping hammers in a relatively short time. With PDR, it’s more about the artistic touch than mechanical ingenuity, and our technicians have been honing their craft for years now. 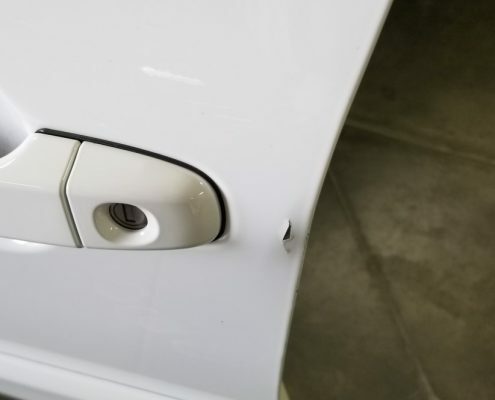 The cost of repairing each individual ding or dent can be as low as $50, significantly cheaper than having the work done in the traditional “body shop” manner. So if you’ve got a few eyesores on your otherwise sleek ride, then consider bringing the vehicle into Collision Center of Andover, and we’ll be happy to discuss fixing it. We’ll typically have the work done on the same day, even while you’re waiting. PDR also won’t require us to redo the paint job on your vehicle; it’s one of the reasons the method is so quick and painless. Of course, this means that if the paint is chipped or scratch, a PDR repair won’t be able to fix that. This type of damage would require full body work. Paint damage doesn’t prevent us from performing a PDR, but we won’t be able to repair the scratch or chip without further work. In addition to PDR techniques not being suited to fixing paint damage, plastic will also need a different type of repair. This is especially true for bumpers, since most bumpers these days are encased in plastic. Paintless dent repair is for a specific kind of damage – small digs and dents that leave the paint otherwise unaffected. Accidents happen. You can leave your vehicle out in the “boonies” of the parking lot, but a shopping cart may still find its way to it. Or if you have your vehicle in the garage, it’s not hard to imagine that someone might bump into a shelf, and something might fall onto your vehicle. For all of life’s little dings in dents, Collision Center of Andover’s paintless dent repair is a great path to take. If you have any dings or dents that you’re dying to get rid of, then we’re is here to help! Just give us a call at 316-733-9310, or contact us today! Avoid DIY Paintless Dent Repair – Hire a Pro!